We recently interviewed Mike Beehler, a vice president at Burns & McDonnell. Mike led the company’s initial development of critical infrastructure protection. He initiated the application of sustainable principles to T&D design, preceding the development of the Envision program by the Institute for Sustainable Infrastructure and PEER by the U.S. Green Building Council. Mike has written and presented extensively on the subjects of reliability-centered maintenance, program management and the smart grid. Subsequently, Burns & McDonnell has become the industry leader in major program management and developed several world-class grid modernization labs. More recently, Mike has written, presented and consulted on industry megatrends, EPC project delivery and the value of the grid. (MB): We believe smart cities connect the basic infrastructure of diverse neighborhoods and communities to drive operational excellence, revenue potential and sustainable lifestyles. That said, a truly smart city focuses those initiatives on the needs of end users — the residents. People are at the center of cities, not technology, and improving quality of life should be a city’s primary goal. Smart cities are not about digital solutionism; they are about discovering and solving for resident needs. (LB): Tell me about a current smart cities project you’re engaged with some of your anticipated outcomes. (MB): Many communities and cities are preparing to become “smarter.” At Burns & McDonnell, that means developing a live/work/play master plan for the community, built around mobility, green infrastructure, net-zero energy and, of course, broadband. We recently worked with a community of 25,000 with a progressive mayor and staff and developed such a plan. We then sent a Request for Information to well over 100 companies that offer products or services they consider “smart.” Having gathered the RFI responses, we are now working with the community to get firm scopes and pricing on the components that help the city fulfill its vision of building tomorrow’s community. 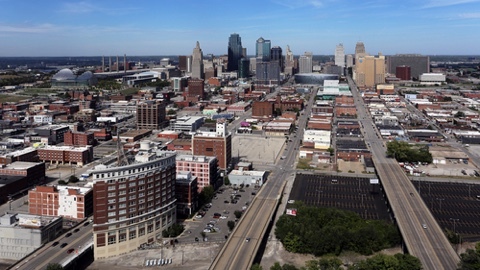 (LB): As you know, Smart Cities Connect Conference & Expo will take place in Kansas City in two short months. What are your hopes for the event? (MB): We are hopeful that civic leaders from communities large and small will come to Kansas City to see one of the smartest cities in North America and learn about practical steps that mayors and city managers can take toward becoming a smart city. With technology advancing at the speed of Moore’s Law, smart cities represent a continuous improvement effort to deliver technologies that really work, have a solid return on investment and that residents embrace. (LB): What is the greatest challenge facing cities today, and what would you tell a city leader trying to solve it? (MB): As cities struggle to manage limited resources — both human and budgetary — the challenge is getting started. Our advice to city leadership is to think big, start small and move fast as a way to overcome traditionally siloed models of government structure. Think about developing an innovation neighborhood as a pilot area to test new ideas for products and services. Technology is advancing rapidly, and if you’re interested in economic development, quality of life, sustainability and so much more, you need to start now. Progressive leadership is moving forward. The future awaits.